How do I advertise in your online magazine edition? When do I need to have my advertising to you? When are the magazines printed and mailed to your subscriber list? How do I get a FREE subscription to Truck ‘N Trailer Magazine? I’m a TNT Magazine subscriber. Why haven’t I gotten my magazine? What does it cost to load my New or Used Inventory online? If you advertise in our printed Truck ‘N Trailer Magazine, your ad is automatically included in our online magazine since it is a reproduction of the original. Your ad will remain accessible online for 6 issue cycles (about 12 weeks). Click Here to see the online edition. We need to have all photos, text, and payment in full by noon, the Thursday of the week before our issue date. Check out our Publishing Calendar. Click Here to see our our online edition | Click Here to see our publishing dates. 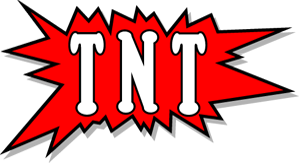 Individuals and businesses in the trucking, construction, or related industriesbthat wish to receive a FREE subscription to TNT Magazine can do so by calling us at (570) 467-2528. Please note that FREE subscriptions are only offerred to residents of the United States of America or it’s territories. Subscription requests must also be made by someone who is actively involved in the trucking, construction, or a related industry. Click Here to contact us | Click Here to update your subscription. Online access and unit upload is free. The only requirement is to be an active advertiser in TNT Magazine. Please call us at (570) 467-2528 or Click Here to contact Sales.